0-95 and 0-90 ohm gas tank and gas bottle sender - GAS IT Leisure Gas Bottles, Gas Cylincers and Gas Tanks - Catering, Motorhome, Campervan, Caravan, Farrier and Road Repair Refillable Gas Solutions. 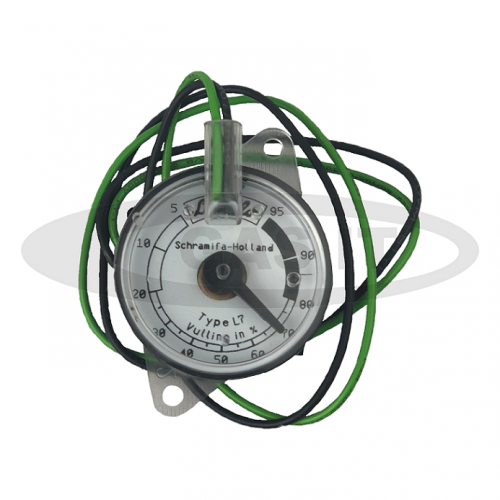 It is 0-95 ohm sending and has 2 wires attached and either goes up to your Autogas ECU unit or separately purchased 9 LED GAS IT Contents Gauge in the vehicle. We sell the system complete or seperately. This item is only designed for 4 hole gas tanks and will only work with our 4 Hole refillable GAS IT tanks and 4 hole GAS IT Plus bottles, other Stako 4 hole tanks or 3 Hole Alugas tanks. Please note - this GAS IT sender unit is not a calibrated unit and as such the tank contents displayed can vary.